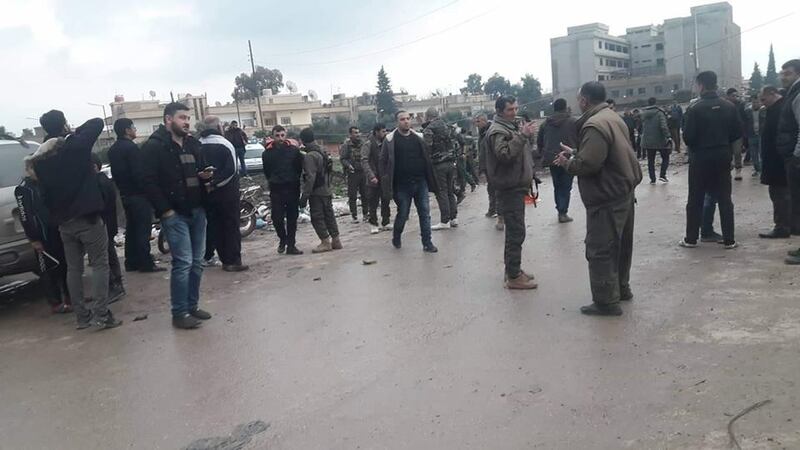 An explosive device exploded pre-planted by unknowns in the neighbourhood of Alarbawiyah in Qamishlo city today on Thursday. And two women were injured by the blast they were near the scene they are :Nadia Mohamed and Khadija Hussain . The explosion happened near to security headquarters follow the Syrian regime.